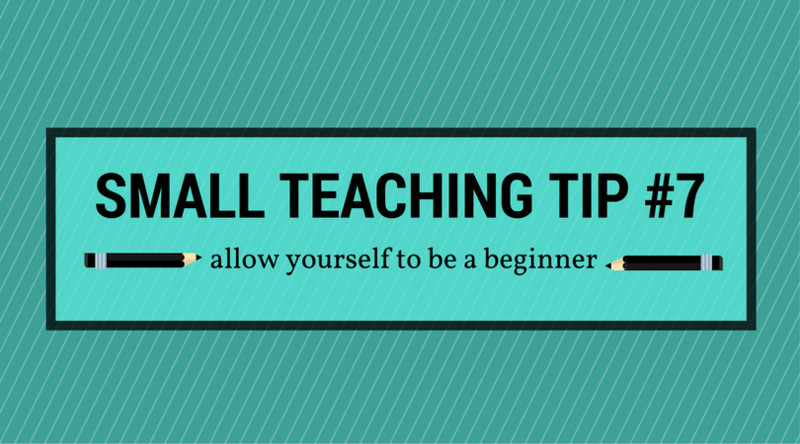 This week’s Small Teaching Tip is less of a tip and more of an observation and some encouragement. . .
As an instructional technologist, I support faculty’s endeavors to expand their teaching repertoires. Over the past couple of years, I’ve discovered that many faculty are hesitant to try new technologies or teaching strategies. For some, it’s simply a lack of confidence. During graduate school, most of us were not taught how to teach and so we reproduce the methods we experienced as students. In the United States, we require rigorous training for our K-12 teachers but, strangely, we assume professors will magically know how to teach without such training. For example, when I was a 22-year-old Masters student, I was handed a textbook and class roster and told to “go teach.” Is it any wonder many of us sometimes struggle? 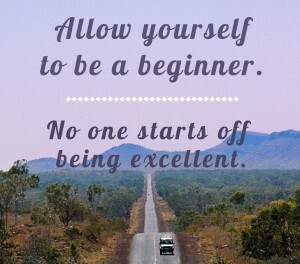 So if you are hesitant to experiment because you fear failure, chaos, poor teaching evaluations, or just looking like a fool, grant yourself permission to be a beginner. Teaching is a continuous process of learning, growing, and challenging oneself. It’s okay to not know how to do something. It’s okay to feel uncomfortable or awkward. It’s okay to make mistakes. 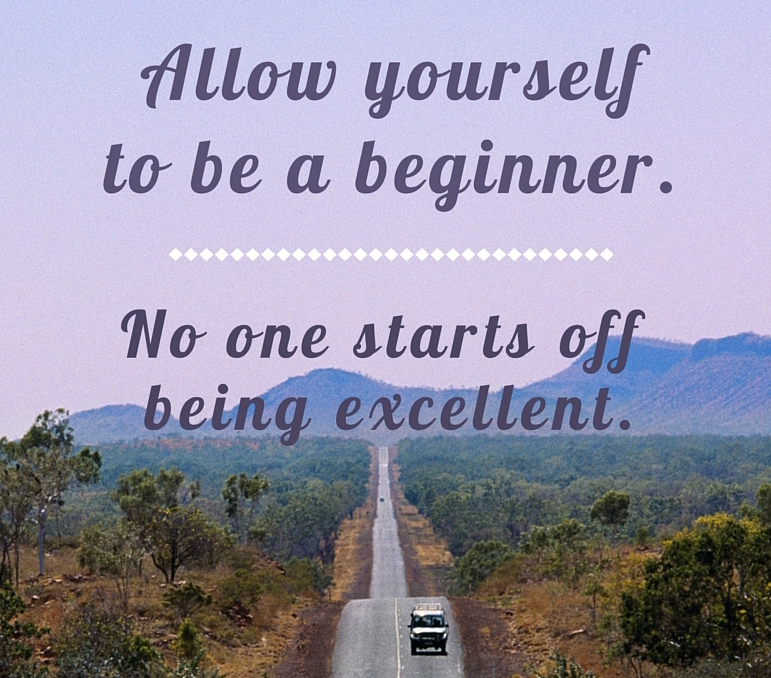 When we try something new, we all start at the beginning. It’s also important to remember that you don’t have to change every aspect of your teaching in order to improve student learning and engagement. We hope the Small Teaching Tip blog series has made it clear that we can all take small, strategic steps to improve our teaching. One step you can take is to attend the Teaching, Learning, and Technology Conference on March 7-9, 2017. This conference will feature dozens of faculty-led sessions during which your colleagues will share teaching strategies, best practices, and lessons learned. Be on the look-out for more information about TLT Con in the new year!